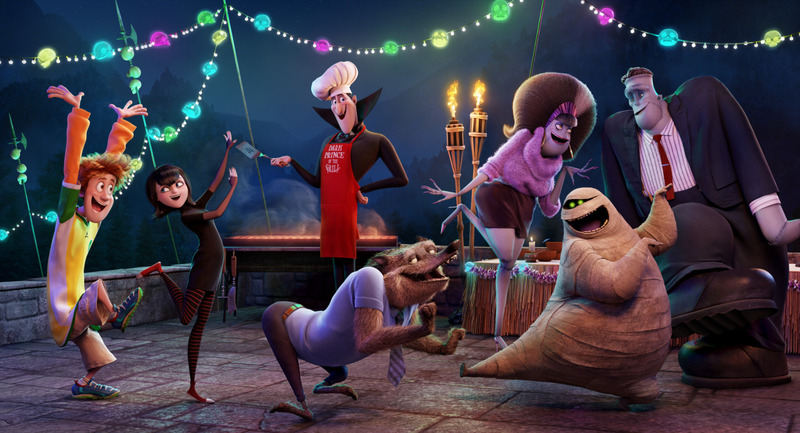 Gendy Tartakovsky's Hotel Transylvania 2: Baby Dracula wants to fly. Does he have fangs yet? Hotel Transylvania opens in India just before Diwali. The strategic positioning of this film, primarily targeted to the pre-teen kids and teenagers, is probably the best. There is already a social game with its own fb app, a franchisee for the 2012 film, and a set of plush toys based on the characters. The second film in the franchise begins at where the first left us, viewers. 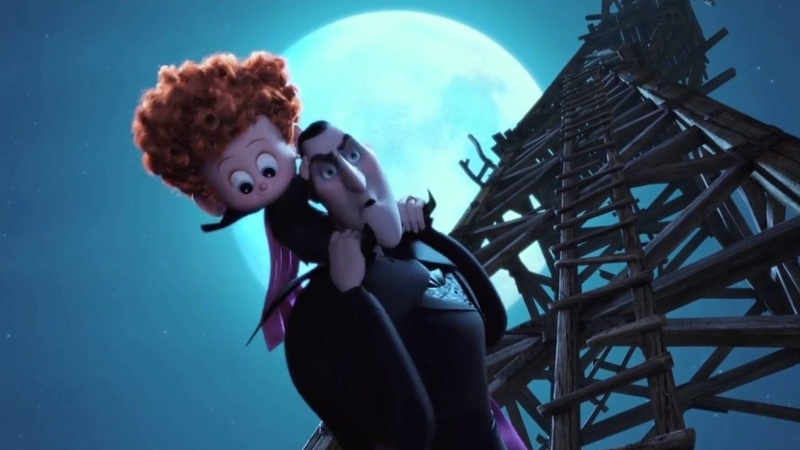 Dracula has a grandson from his rebel daughter Mavis and her human husband, Johnny. The half-human child does not show any sign of a vampire in making. Mama Mavis feels sure that the boy, Dennis, is a human boy, without any vampire trait running in his blood. But, Papa Dracula feels otherwise. It is to be discovered how far he goes to train his little grandson for the honor of the family. The plot is simple, the design could have been more interesting though. The contrast between the human and the vampire societies pitched in the middle of the film is erased largely in the end. The 2012 film was a kid’s text on xenophobia and its solution. In the days of global intolerance on anything alien, i.e. foreign, such films are the common reaction. Even the Twilight Saga series treats xenophobia as a central theme. HT2 takes that one step ahead with the concept of a crossbred child. 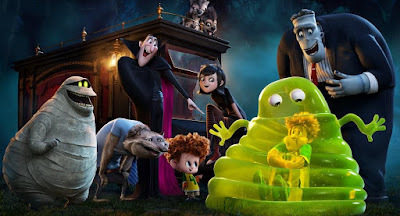 The regular faces, such as the werewolf, the invisible man, the mummy, Frankenstein’s monster, the Yeti and the blob are always surrounding Papa Dracula and his grandson, Dennis. While Dracula wants to excite, and inspire, the toddler by the example of his stooges, each of them fails at his/her job as they have forgotten to frighten or to kill after the long stay inside the hotel. The film fails to act up to the premise's full potential because story contrasts are not played out to their possibilities. We all know, in some way, that fairy tales and fables act in a quasi-didactic manner. That is, they feed certain basic ideas in the mind, in apparently innocent ways. This is why child-education is so important to social psychologists. Any fairy tale, from any human culture, follows a set of pre-fixed contrasts - only such ones that lead to making up values for the society. This is how we have come to receive the good boy and bad boy tales, the good samaritan and jealous neighbor fables, and the different contrasts to cope with the status quo of different societies at different times. 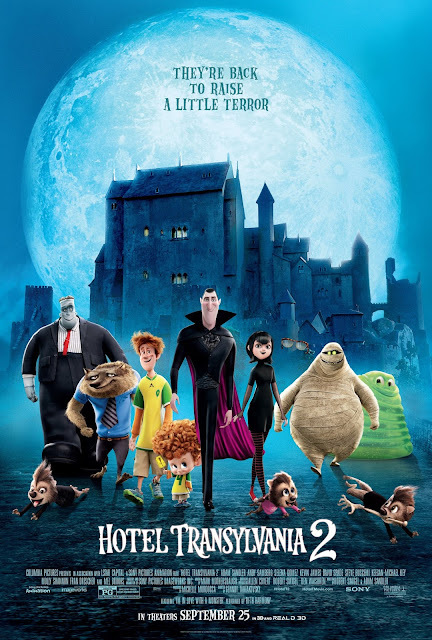 The two contrasts shown in HT2 are the life at the Hotel Transylvania (or, Transylvania in general), and the human world in Los Angeles, and the vampire training in Dracula's childhood and that in the contemporary society. 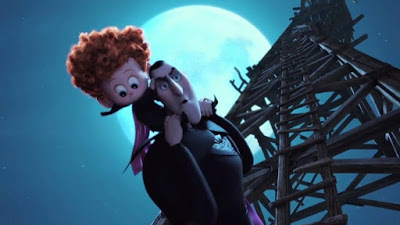 Although these two contrasts build up the motivation for the successive actions in the film, coupled with the plot contrast - Dracula's expectation about his grandson vs Mavis' expectation about Dennis - they are neither introduced at proper points nor utilized full scale. This is a major reason the film fails to pull crowd in India, even on its second day. Today's kids are smarter. They know about conflicts and contrasts in a more intuitive way than their parents ever knew. Taken as a whole, it is a fulfilling tour, especially for the junior school kids, and their siblings-parents, to partake, on this festive season.